Several key parts of the Boeing 787 Dreamliner are made in Nagoya, the heart of Japan’s aerospace industry. They are then flown from the city’s airport in a converted 747-400 freighter known as Dreamlifter to Boeing assembly plants in the United States. 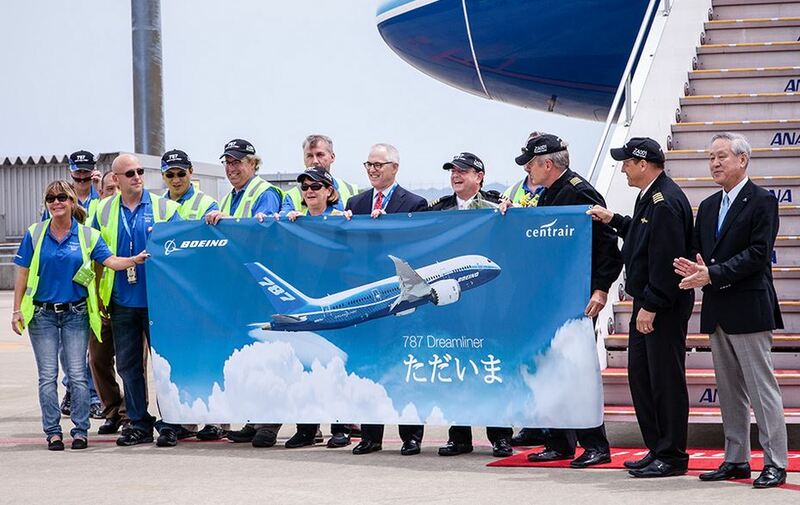 Today, Boeing rewarded the city for its contribution by donating the first 787-8 flight test aircraft to the Chubu Centrair International Airport. Code-named ZA001, the airplane first flew on Dec. 15, 2009. It touched down in Nagoya on its last flight on June 22, 2015. Many of its parts, including the main wing, forward fuselage and centre wing box, were manufactured in Nagoya. “It is fitting that we bring Boeing’s first-ever 787 Dreamliner back home to Nagoya,” said George Maffeo, president of Boeing Japan. He said the ZA001 had grown to symbolize the partnership between Boeing and Japan’s aerospace industry. 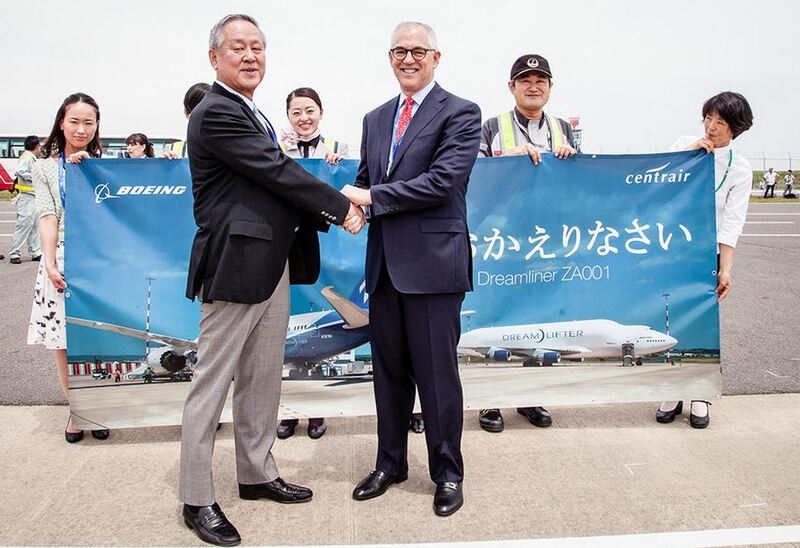 “We are honoured to be selected by Boeing to house the permanent display of the world’s first-ever 787 Dreamliner,” said Masanao Tomozoe, president and CEO, Central Japan International Airport Co., Ltd. Located on a man-made island off the coast of Nagoya, Centrair is an international hub serving some 30 cities. Boeing has now donated three of the six Dreamliner flight-test and certification program aircraft. The ZA002 was presented to the Pima Air & Space Museum in Tucson, Ariz. and the ZA003 to the Museum of Flight in Seattle. Images are courtesy of Boeing.